The data your payroll team obtains can be employed to a paint a comprehensive picture of a company’s workforce and help them achieve their overall strategic vision. 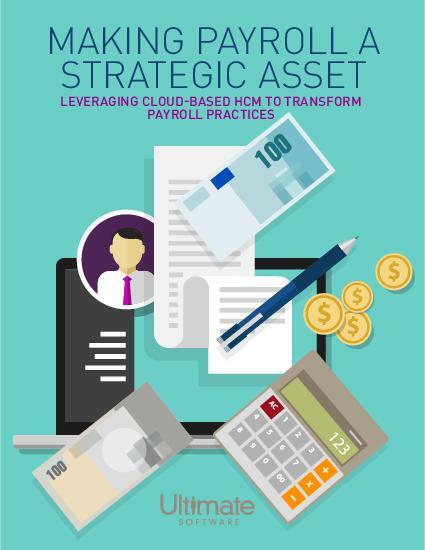 Industry leaders across the globe have begun to realize payroll’s potential, especially as payroll managers leverage the best in HCM technology. Unified solutions can allow your payroll team to prove their critical role as a part of an organization’s overall strategic vision. Payroll is much more than spreadsheets and paychecks. Compiling and taking advantage of the plethora of data your payroll team obtains can yield real results for your bottom line. Read our guide to discover how solutions for payroll can empower your team and benefit your company overall. Fill out this form and learn how to make your payroll more strategic.